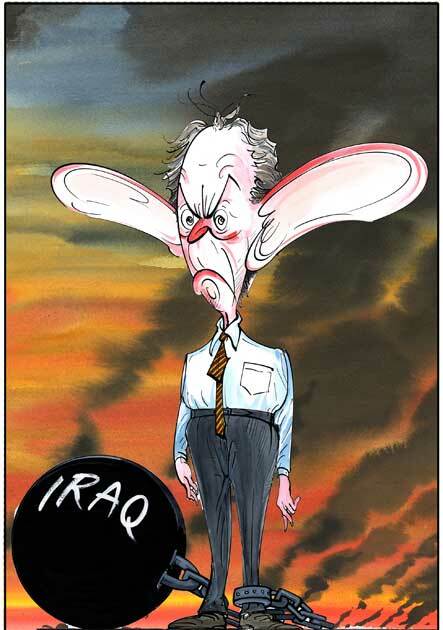 Tony Blair's tenure as Prime Minister was dogged by the war in Iraq. (Print size: 48cm x 32cm. Printed on high quality archival matt paper. Hand signed by Gerald Scarfe. Limited edition of 100. Issued with a signed Certificate of Authenticity).